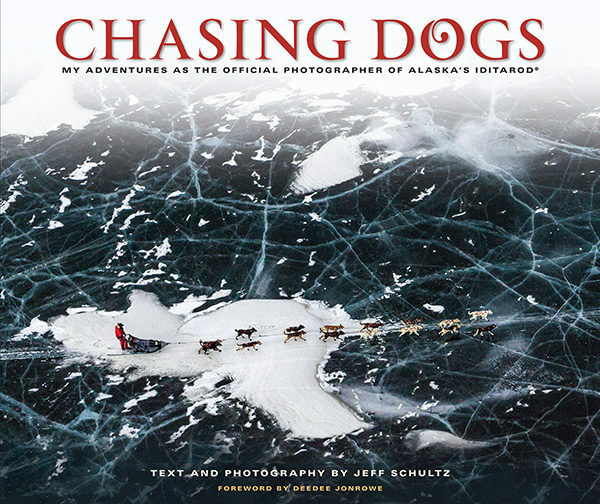 Chasing Dogs offers a rare backstage tour of the Iditarod Trail Sled Dog Race® at the invitation of Alaskan photographer Jeff Schultz. 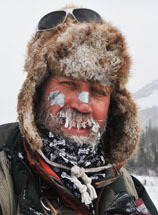 Since 1982, Schultz has served as Iditarod’s official photographer, traveling by plane, snowmachine, snowshoes, and on foot to capture the race as no one else has. His images of the amazing dogs, adventurous people, and magnificent landscapes will stay with you long after you close the book. Over the course of his thirty-plus-year career, Schultz has become as iconic as the race itself, having experienced the same harsh trail conditions and weather hazards as the race participants while artfully chronicling their journeys. In Chasing Dogs, Schultz’s stories and photos illuminate what it takes to prepare for and execute the Last Great Race on Earth®, from the race administrators and judges, to the mushers, volunteers, villagers, thousands of fans… and the dogs that they all love. You’ll read about Jeff’s fortuitous meeting with the founder of the race, how that meeting changed Jeff’s life forever, and nearly cost him his life during one race. You’ll discover, too, that Chasing Dogs is a thousand miles of wonder without fear of frostbite. All books purchased from this website are personally signed by Jeff.